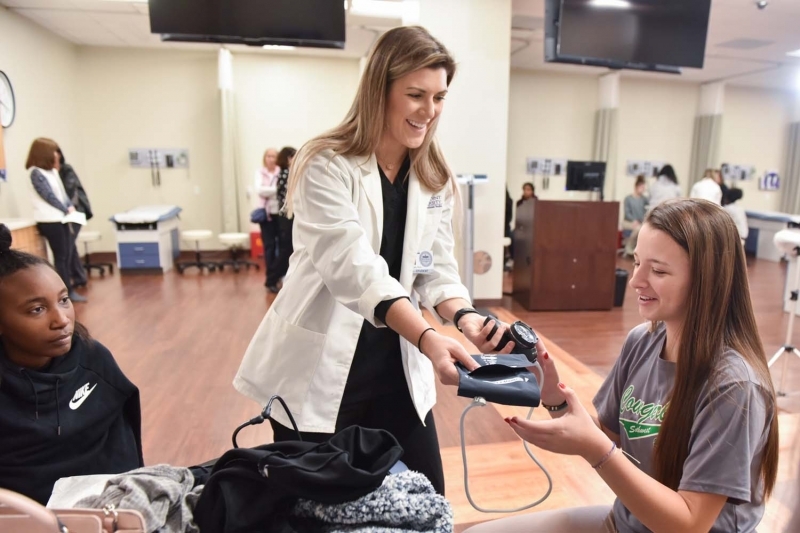 Nearly two dozen Southwest Guilford High School students visited HPU’s Center for Medical Simulation to experience what a career in physician assistant studies might look like. 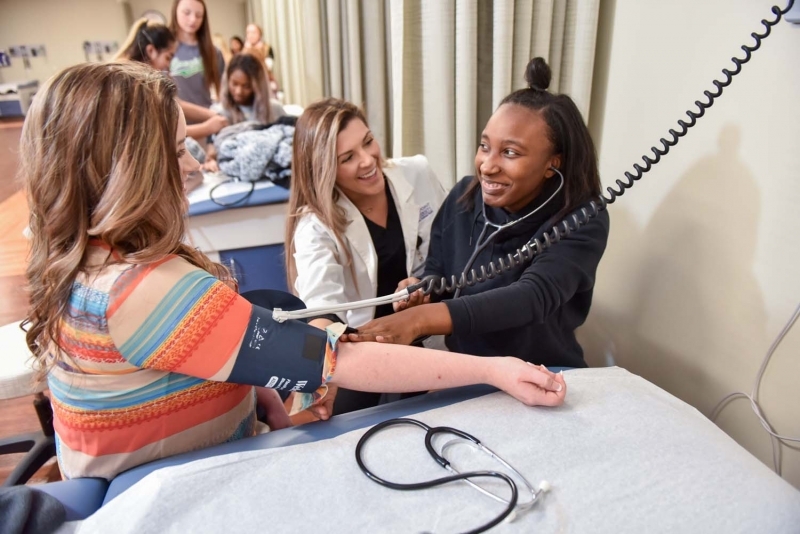 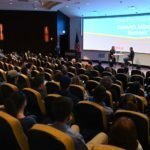 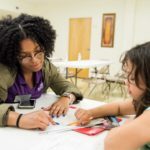 HIGH POINT, N.C., Dec. 5, 2018 – High Point University’s physician assistant students helped local high school students become interested in pursuing a career in the medical field. 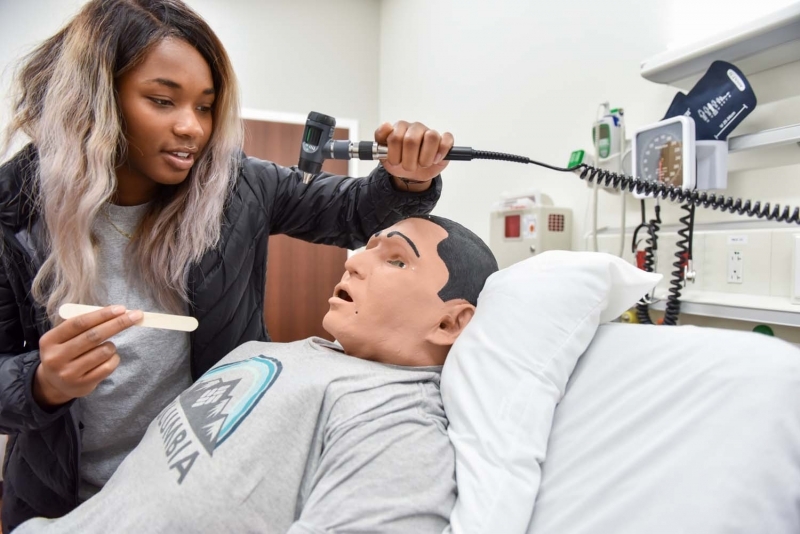 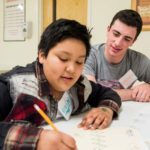 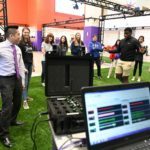 Hollins was one of nearly two dozen high school students who were taught how to take vital signs in HPU’s Center for Medical Simulation (CMS) housed in the Congdon School of Health Sciences. 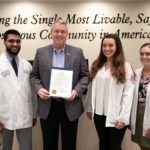 James Johnson, HPU’s director of the CMS and assistant professor of physician assistant studies, conducted an anaphylaxis scenario with the high school students. 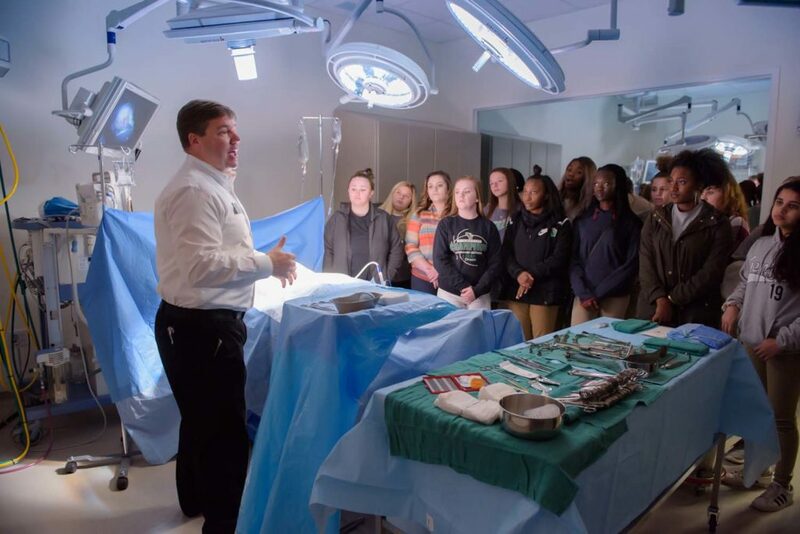 This allowed them to talk to a simulated patient to learn how to care for a human patient in a hospital setting. 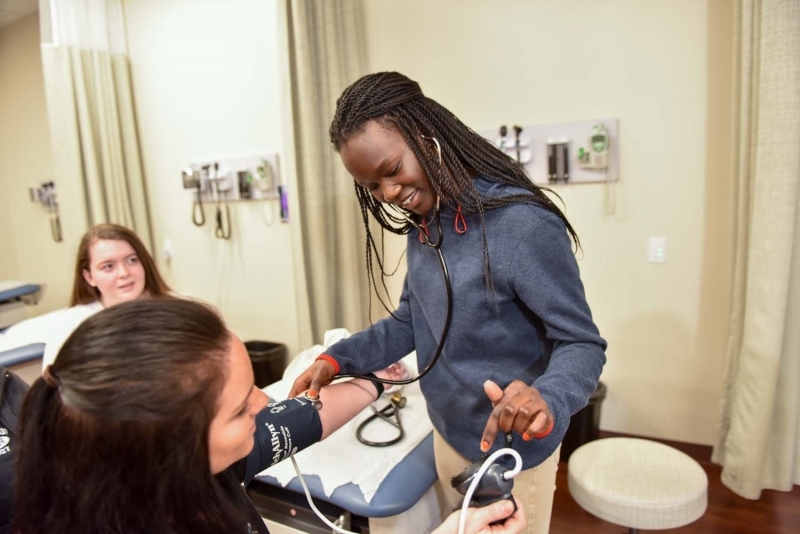 Kabang Nyara, a Southwest Guilford junior, wants to be a pediatrician when she gets older. 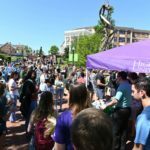 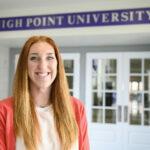 She says the visit to HPU helped her envision that.